This famous concerto was originally written for three violins, strings and continuo, but today is known in a version reworked by Bach for three harpsichords. Music Minus One proudly presents it as close as possible to its original version here, for three violins. Includes separate versions so you can choose which part you want to play! 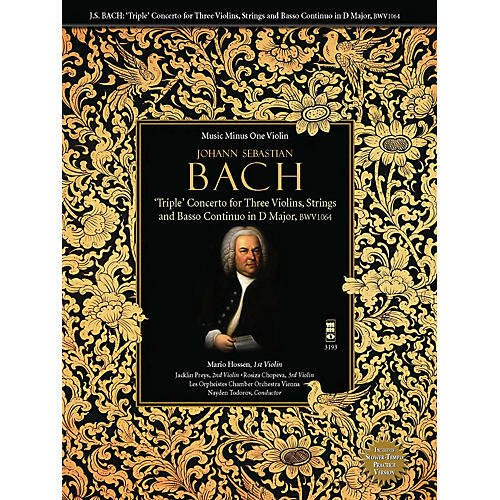 Features newly engraved solo parts and CDs with complete reference recordings, plus accompaniments minus the soloist at both standard and practice tempos.